The Human G-CSF R / CD114 / CSF3R ELISA Pair Set is for the quantitative determination of Human G-CSF R / CD114 / CSF3R. 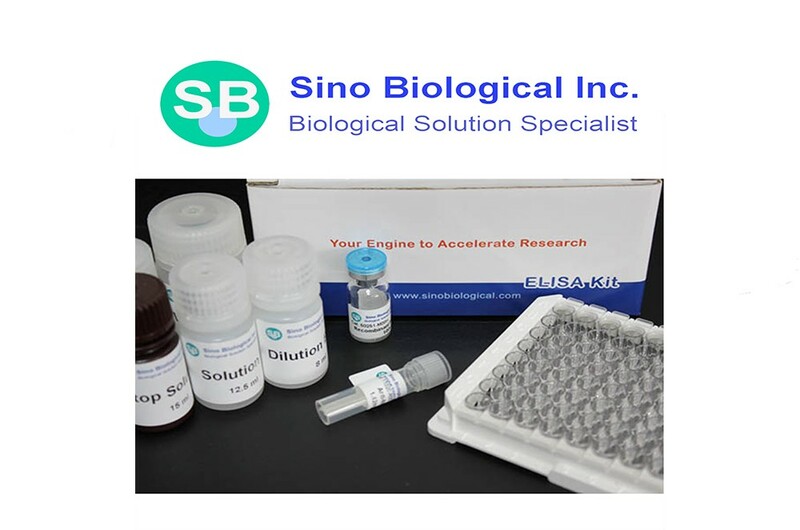 The Sino Biological ELISA Pair Set is a solid phase sandwich ELISA (Enzyme-Linked Immunosorbent Assay). It utilizes a monoclonal antibody specific for Human G-CSF R / CD114 / CSF3R coated on a 96-well plate. Standards and samples are added to the wells, and any Human G-CSF R / CD114 / CSF3R present binds to the immobilized antibody. The wells are washed and a horseradish peroxidase conjugated mouse anti-Human G-CSF R / CD114 / CSF3R monoclonal antibody is then added, producing an antibody-antigen-antibody "sandwich". The wells are again washed and TMB substrate solution is loaded, which produces color in proportion to the amount of Human G-CSF R / CD114 / CSF3R present in the sample. To end the enzyme reaction, the stop solution is added and absorbances of the microwell are read at 450 nm. Standard (antigene): Each vial contains 215 ng of recombinant Human G-CSF R / CD114 / CSF3R. Reconstitute with 1 mL detection antibody dilution buffer. After reconstitution, store at -20°C; to -80°C; in a manual defrost freezer. A seven-point standard curve using 2-fold serial dilutions in sample dilution buffer, and a high standard of 3200 pg/mL is recommended. The minimum detectable dose of Human G-CSF R / CD114 / CSF3R was determined to be approximately 50 pg/ml. This is defined as at least three times standard deviations above the mean optical density of 10 replicates of the zero standard. Capture Antibody: Aliquot and store at -20°C to -80°C for up to 6 months from date of receipt. Avoid repeated freeze-thaw cycles. Detection Antibody: Store at 4°C and protect it from prolonged exposure to light for up to 6 months from date of receipt. DO NOT FREEZE! Standard: Store lyophilized standard at -20°C to -80°C for up to 6 months from date of receipt. Aliquot and store the reconstituted Standard at -80°C for up to 1 month. Avoid repeated freeze-thaw cycles.